Real estate often produces many wealthy people, so there are many reasons to consider buying an investment home. But like any type of major investment, you are wise to understand the subject well before you put your money on the line. With the information below, you will be better prepared to buy your first investment property in San Antonio. One of the biggest parts of owning investment property is dealing with its daily headaches, which include plenty of repairs. Do you know how to repair things? Do you enjoy using tools? If not, you can always pay others to handle your repairs, and/or give the responsibility to property managers. But you will have lower profits that way. Many property owners with a few properties may do their own repairs, but if you do not want to spend your time on this, you may not want to be a landlord. Many new landlords discover they do not enjoy maintaining properties, so be sure this is something you want to do before you spend a dime. Some experienced investors may have debt as part of their overall portfolio. But many experts say the novice should get into investment homes with as little debt as they can. If you have student loans, car loans and credit card debt, you may want to pay that down before you start to take on other major obligations. First of all, getting an San Antonio investment home in 2018 will usually require you to put down a larger down payment than you do with a personal residence. You often need 20% down to buy many investment properties today. One exception is the FHA loan; if you live in the investment home yourself (such as a duplex or triplex) you can get a loan with a 3.5% down payment. But most experts advise putting more money down. Plus, you should have plenty of cash in the bank if things start to go wrong with your property. You could have a major repair needed, or you may have an apartment vacant for months. 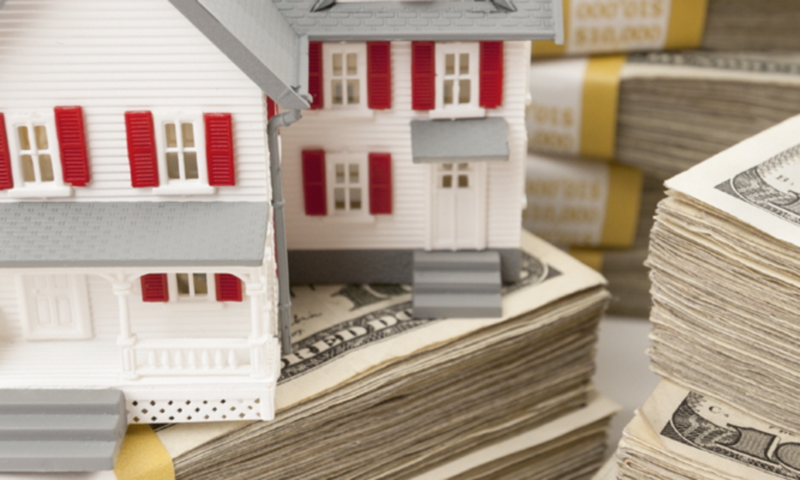 Investment properties are riskier for lenders. So the interest rate on your money will be higher. This higher rate will eat into your profits, so be prepared for this. Wall Street companies that buy distressed homes usually shoot for 5% or 7% returns because they have a lot of overhead to pay. But you should have a profit margin goal of 10%. It is wise to estimate your maintenance costs at 1% of the value of the property each year. Other costs of owning the property will be HOA fees, insurance, property taxes and various monthly costs. Also, don’t forget to account for vacancy. It is always tempting to buy a cheap, distressed home and try to repair and flip it into a profitable investment home. But if this is your first home, you may not want to take on a headache. Unless you are hooked up with a contractor that does good work cheap, or you comfortable making major home repairs on your own, you should probably avoid a home that needs a lot of work for your first investment. A better idea is to look for a home that is under market value in a decent area that only needs cosmetic repair. This can be easier said than done. You need to find a home with reasonable property taxes, good schools, a neighborhood with lower crime rates and a good job market. But if you find this type of neighborhood, the homes there could be beyond your budget. This could tempt you into buying cheaper homes in bad neighborhoods. This isn’t always a failure, but it is definitely riskier. When you buy homes in worse neighborhoods, you will have more problems with crime, repairs, tenants, etc. The operating expenses on your property will probably be between 35% and 80% of the total income on the property. If you are charging $1500 for rent and your expenses are $600, this is 40%. Some investors use the 50% rule. This means if you charge $2000 for rent, expect $1000 per month in expenses. The bottom line on your first investment home is that it can be a great thing if you do your homework. But if you do not really understand what you are doing, your first investment property can end up costing you money. So be sure that you buy the right home at the right price and have determined your budget and operating expenses as realistically and accurately as possible.